What is and What's on PPTH eCon 2010? PowerPoint Heaven eConvention 2010 is an annual online convention. PPTH eCon 2010 (abbrev. ), is a day where PowerPointers get together to discuss, review and submit their latest PowerPoint works. For the viewers and non-participants, this is also a day where you can get to see a wide variety of PowerPoint works created by the contributors. 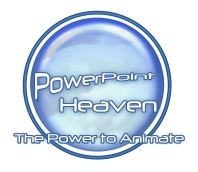 There are several events for PowerPoint Heaven eConvention 2010. The events include: eCon Awards 2010, Contributor of the Year, Submissions @ eCon, Discussions @ eCon. '[Category] of the Year' by the public. This is a pre-eCon event starting from January 9 to January 29. The second part is the awards giving event held on January 30, 2011. Works eligible to be nominated for voting are the ones submitted on PowerPoint Heaven in year 2010. Each work is allowed to participate in only one category. The winners will be announced on January 30, 2011. Unlike the rest of its counterparts, Contributor of the Year award is not chosen through a voting system. Rather, he/she will be selected by the PPTH eCon organizer based on his/her performance over the past few years. The chosen Contributor from PowerPoint Heaven will be featured and interviewed during the eConvention. Participations from Guest and Members will also be carried out through PowerPoint Heaven Discussion Board where you are given the chance to ask any questions you want to know to the featured contributor. The featured contributor will receive an interview request on January 10 and will be made known only on January 30, 2011. Works submitted around eCon period are eligible to be shown on eCon. If you have any latest works, demos or trailers to show, feel free to submit them through email or on the eCon forum from January 09 to January 29. Submissions will be shown on January 30, 2011. Throughout the eConvention, participations and involvements from the Guests and PPTH Board Members are welcomed. PowerPoint Heaven eConvention 2010 forum will be the communication channel for discussions, feedbacks, suggestions, submissions and many more.